IT'S OFFICIALLY MINNIE/MICKEY WEEK! YAAAAYY! Sorry, I get excited sometimes. Anyway, here is my tutorial for the Minnie Wreath I made for my Wunkie Princess' birthday! You will need one floral foam wreath form (I got mine from the Dollar Tree), two foam discs (Yup, you got it! Dollar Tree! ), some floral wire (DOLLAR TREE!) some black ribbon, some polka dotted ribbon, a glue gun, wire cutter, scissors, and some felt remnants. First, begin by wrapping the black ribbon around the wreath form, dotting some hot glue along the way to ensure that it doesn't unwrap or come undone. Finish it with a nice dollop of hot glue. Next, cut some floral wire into two strips, each about 1ft long. Cut two strips of ribbon, long enough to wrap around the foam discs, leaving about an inch of foam exposed. 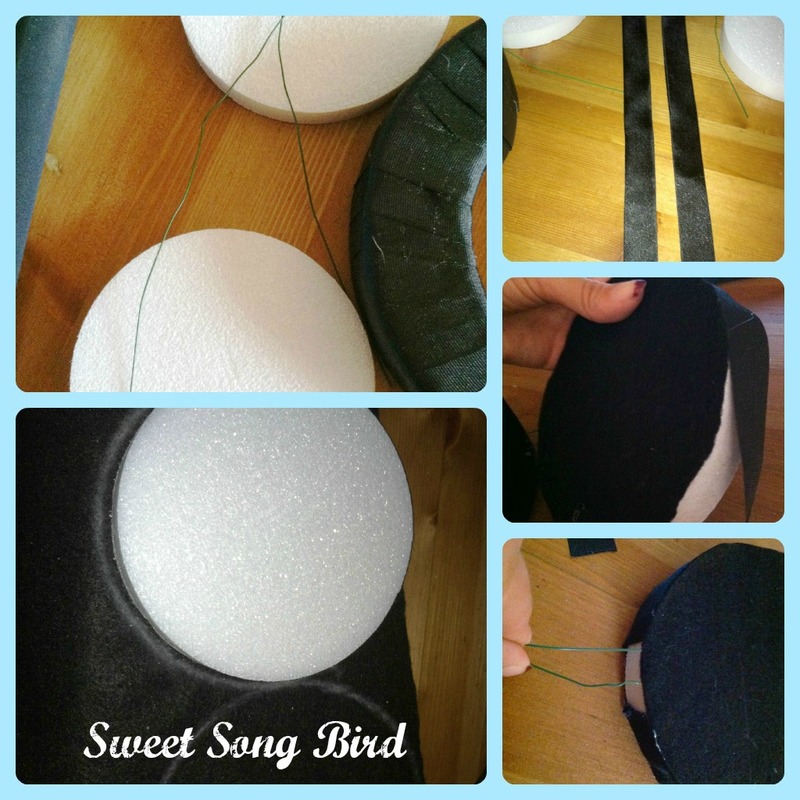 Cut four circles from your felt. I use a piece of chalk and simply trace around the discs. Fold the wire strips in half, and loop the folded wire through a piece of ribbon once you know where you want the ears to be attached. 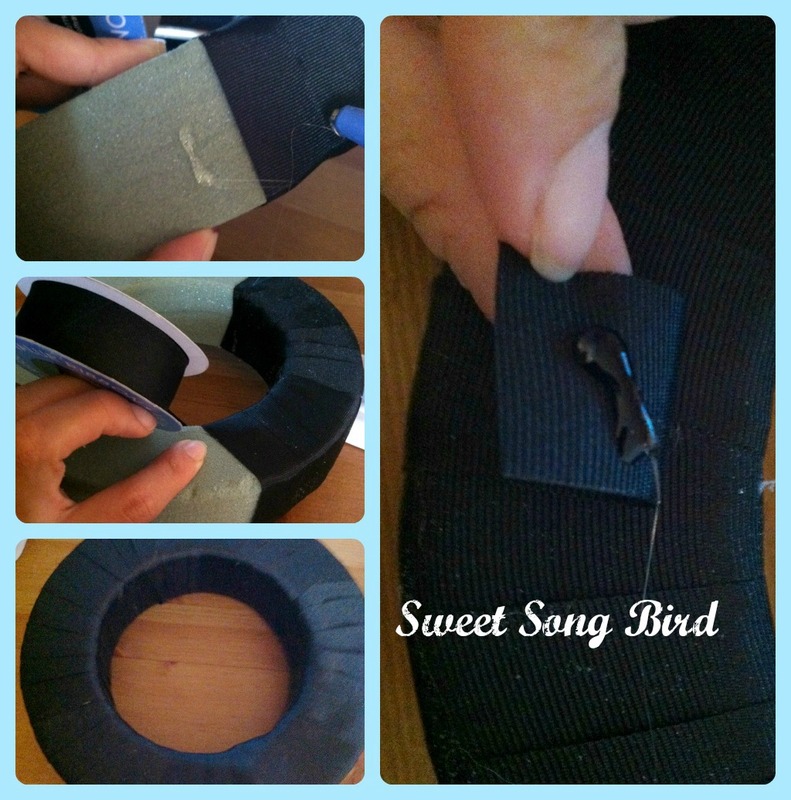 Add a dollop of hot glue under the ribbon. Push the folded wire into the wreath form. Add some more glue to the discs and insert the wire ends into them, one at a time. You now have a Mickey Mouse head! Here it is, hanging on my front door! As always, if you don't want to make it yourself, you can order it from me! 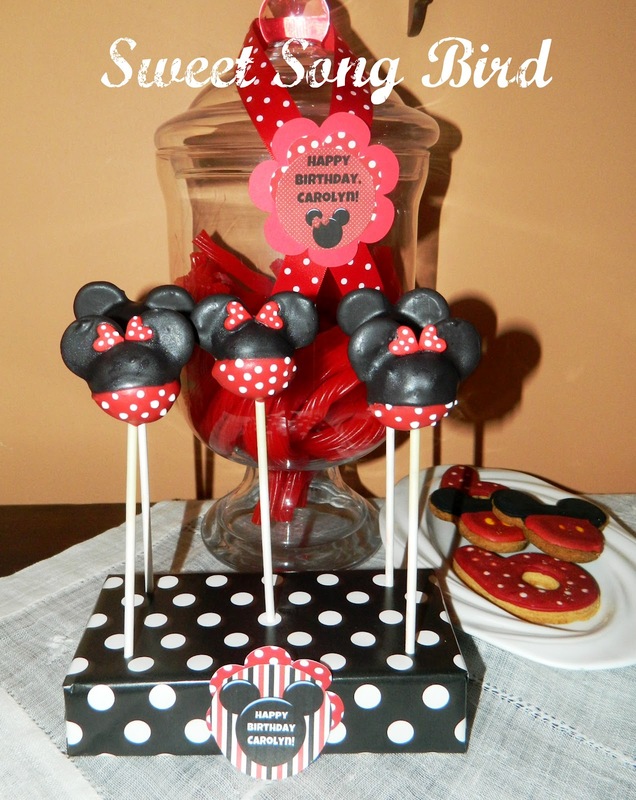 This is part of the "Minnie Mouse Deluxe Party Kit"! Happy crafting! such a sweet / and easy idea! Thank you for sharing! How cute!! Love everything about this party! Great job! <3 awwww thank ya sweet lady! Thank you! :) All of these comments are making me smile SO BIG! I love Minnie Mouse! Clever wreath idea! ;) Thank you! It was such a simple wreath! That is way cute! 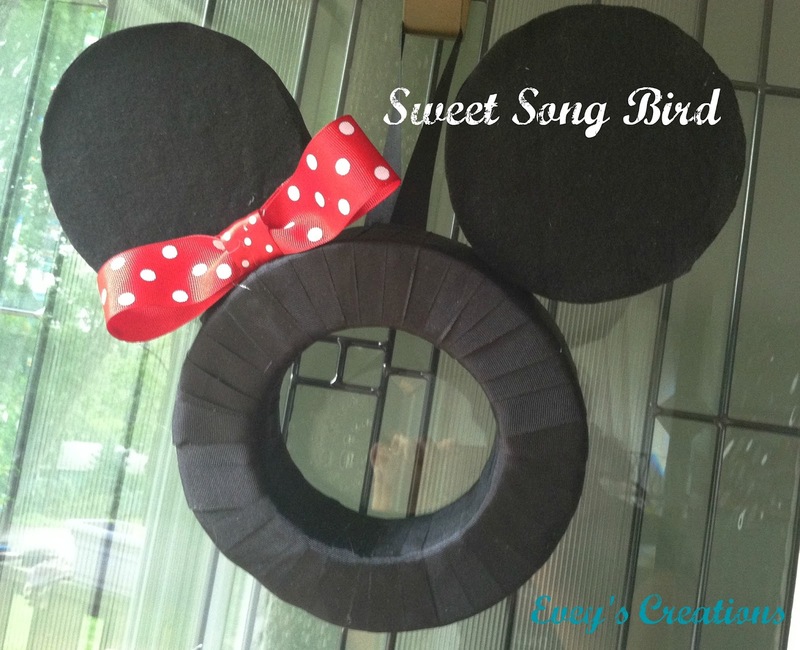 I know a lot of kiddos that would love this wreath in their rooms or at their parties.